Asbestos can be present in any building built or refurbished before the year 2000. We look at what you need to know to stay safe. When is asbestos a risk? Where do you find asbestos? Asbestos is a killer. According to the Health and Safety Executive (HSE), more people die as a result of asbestos poisoning each year than are killed on the roads. The majority of deaths will be as a result of past exposure to asbestos – it was widely used in building materials from the 1950s onwards. Numbers continue to rise in the UK, although they’re expected to peak over the next 10 years, as the influence of tighter controls and protections comes to bear. Anyone working in a trade that involves disturbing or moving building parts is at risk. Asbestos is present in millions of buildings built or refurbished before the year 2000 throughout the UK. It’s found in many materials that were once commonly used in both residential and industrial buildings. That’s why it’s so important to protect yourself. Give your customers confidence that they’re buying from a business that they can count on. Become a Which? Trusted trader. When asbestos is undisturbed, it doesn’t harm anyone. But materials containing asbestos can release fibres into the air when they’re disturbed or damaged. You can’t see or smell these fibres. But when they’re inhaled, they lodge in the lungs, potentially causing diseases such as lung cancers or asbestosis years later. The risk of disease increases with the length and extent of exposure to asbestos. It also depends on the type of fibre that is inhaled, with some known to be more malignant than others. Joiners, plumbers, electricians, painters and anyone working in construction are still considered as being at high risk from asbestos. When done regularly, even a small job such as drilling a hole could expose you to danger. 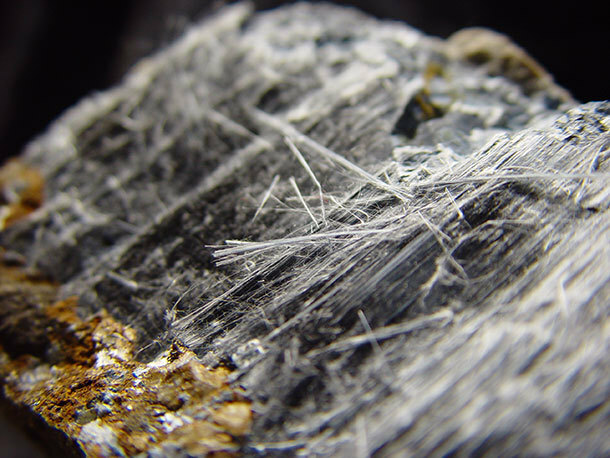 Asbestos is a naturally occurring mineral that was cheap, easy to use, and added strength and fire-resistant properties to building materials. As a result, before anyone realised its damaging health implications, it was widely used in the construction industry for both industrial and residential buildings in the UK and around the world. The HSE has produced this useful graphic to show you where you typically find asbestos in a residential property. This is a guide only – it’s possible to find asbestos in other areas. Assess the level of risk at the beginning of each project. Reduce the amount of dust created. Damp down walls before drilling into them – unless you’re carrying out electrical work. Clear up as you go and dispose of waste properly. A risk assessment (or Construction Phase Plan) is a legal requirement as part of the Construction Design and Management 2015 regulations. Assessing whether there is any asbestos in the property should form part of this assessment. It’s a legal duty that anyone likely to come across asbestos – ie anyone in construction trades – should be able to recognise it and know the appropriate steps to take if they find it. Asbestos awareness training is widely available – the HSE recognises online training around this subject, so it doesn’t need to be expensive. how to avoid the risk of exposure to asbestos. 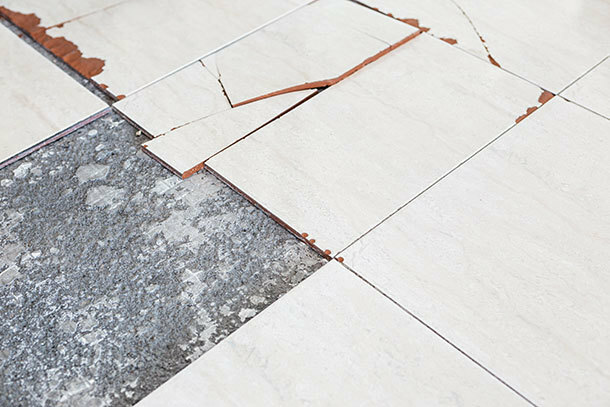 If you do identify asbestos in the workplace and need to disturb it, or it is damaged, you are likely to need to call in a specialist licensed contractor to deal with it. Most removal of asbestos, work with asbestos lagging, insulation, sprayed asbestos coatings and asbestos insulating board (AIB) will need a licence. It is possible to carry out some minor work with effective controls and protective equipment without a license. The HSE has a series of checklists and worksheets to help with this. If in doubt, seek advice. It can be tempting to cut corners and not follow proper procedures – particularly if your colleagues aren’t following guidelines, or you’re struggling to meet a deadline. But it’s really not worth it. 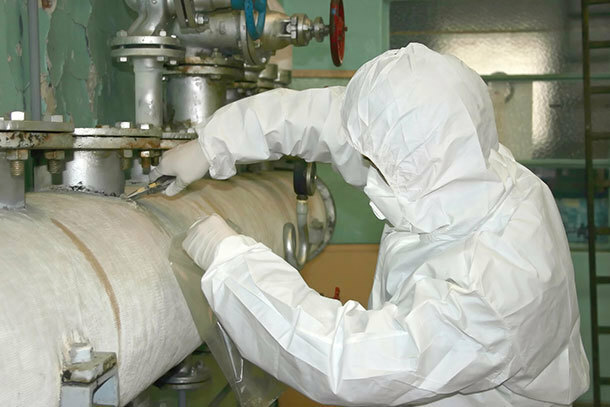 Asbestos-related illness is one of the biggest killers of skilled workers in the UK. You don’t want to add to that statistic. For more information about working with asbestos check the HSE website.